We are delighted to announce that the long-awaited Centre for World War 1 Internment and Internee Database, collating and detailing information on enemy aliens interned in the British Isles, will be will be opening at Knockaloe in Patrick Village on the Isle of Man in Spring 2019. George Kenner, German civilian World War I POW, at the Knockaloe internment camp on the Isle of Man PoW Camp, 8 June 1918 (Wikimedia Commons). Our Community Charity project launched with the website www.knockaloe.im on 17 November 2014, 100 years to the day that the first internee moved into Knockaloe. Our aim being to create a Visitor Centre and interpretation of Knockaloe Internment Camp, and a Database bringing together the stories of the men who lived in our small village 100 years ago. Over the past three years, we have been focussed on our work of bringing together what is a huge amount of fragmented information about the civilians interned in the British Isles from sources all over the world. 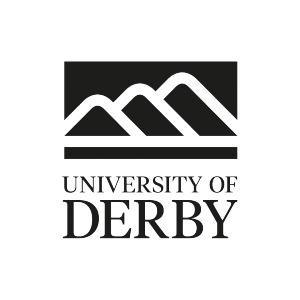 We were thrilled to work with Panikos Panayi, Professor of European History at De Montfort University, and have the support of major UK universities via the “Centre for Hidden Histories: Community, Commemoration and the First World War” Project at the University of Nottingham, to develop our initial framework for the database, getting the tens of thousands of internees listed. Our work now is focused on bringing together fragmented information from all over the world to allow us to collate internees’ experience of internment, as well as their movements between camps during their internment. A phenomenal amount of work has been done by the community, volunteers and grant/donation funded staff and we are delighted to confirm that the “Centre for WW1 Internment” at Knockaloe will be launching in March 2019 with a major event (details to be announced shortly via www.knockaloe.im), its timing to coincide with the centenary of the end of “Knockaloe Internment Camp” whose final internees only departed in the autumn of 1919. Dr Jim Beach (The University of Northampton) and Joyce Hutton (Archivist) at the Military Intelligence Museum have been working with a team of volunteers associated with the intelligence services in order to excavate the ‘hidden history’ of the Intelligence Corps during World War One. So who were the Intelligence Corps and what was their role during the conflict? 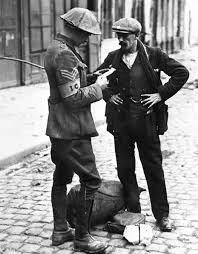 From August 1914 the British army recruited a miscellany of individuals to its newly-formed Intelligence Corps. Drawing initially upon civilian linguists, the corps evolved from a small collection of well-meaning amateurs of variable quality to a large, well-structured, and professional organisation. By the Armistice its officers and men were shouldering the main weight of Britain’s intelligence work on the fighting fronts. But the Intelligence Corps in the First World War has been difficult for historians to research. Primarily this is because it was a temporary organisation, with the army deliberately omitting the corps – for security reasons – from key reference documents such as the Army Lists. This problem is further complicated by the fact that the corps constituted only one segment of the army’s intelligence personnel, so many doing intelligence work never belonged to it. Since the 1960s a number of historians have synthesised the corps’ history between 1914 and 1919, but this has usually been within the context of a broader ‘regimental’ history or general surveys of military intelligence. Funded by the Centre for Hidden Histories and Everyday Lives in War, the ‘Secret Soldiers’ project seeks to contribute a more comprehensive history of the role played by the Intelligence Corps in World War One. Key aims held by Jim, Joyce and the volunteers are to establish a more accurate estimate of the number of Intelligence Corps officers in this period and to have a more complete record of the organisation’s activities. Working with ex-Intelligence Corps volunteers on this project has allowed Jim to delve far deeper into this area of history than he thought possible. In an interview in September 2017, Jim noted that the former investigators who work on this project sometimes think through problems associated with the Military History Museum’s collection in a very particular way. For example, if the information cannot be found in one record set, the volunteers are often able to suggest another section of the archive where the information might be discovered. This is based on their administrative knowledge of how the Intelligence Corps works. In relation to this process, Jim has noted, “What they have shown…is that the information available is of an order that I didn’t think was possible…the depth and quality of the material is way beyond what I would have thought at the beginning.” For Joyce, the ‘Secret Soldiers’ project is an opportunity to excavate the archives, closely read documents and understand their value within the context of the Museum’s collection. The Centre for Hidden Histories looks forward to reading the publications that are planned to arise from this fascinating collaboration. 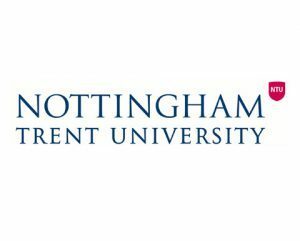 Click here to read about a recent ‘Secret Soldiers’ event held at the University of Northampton in December 2017. 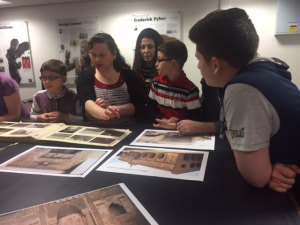 Dr Mark Jackson (Newcastle University), Research Associate Niveen Kassem and creative writing cultural organisation, Identity on Tyne, have been funded to uncover hidden histories within the Gertrude Bell Archive about Middle Eastern ethnic minorities during WWI. The First World War and its aftermath saw the establishment of new nation states after the fall of the Ottoman Empire but this period also resulted in massacres, forced relocation and mass-movements of minorities. A century on, many parts of the region are still a war-zone and minority communities continue to suffer. Using the Gertrude Bell Archive located at Newcastle University, the Beyond Destruction project engaged members of the minority Iraqi, Christian Assyrian communities from Northern England in their history in Iraq before and after WWI and since in the UK. Fostering inter-generational dialogue in relation to this history, the project encouraged community discussion of destroyed heritage sites in the Middle East, the importance of the preservation of languages such as Aramaic and Syriac as well as the uncovering of documents in the archive written by Gertrude Bell’s neighbor, Cyril Porter. Porter was a British Army engineer who was stationed in Iraq between 1914-1918. He frequently wrote back to his family in Carlisle. In one of these letters, Porter powerfully described hearing about what would become known as the Armenian genocide from witnesses who managed to survive. You can access this letter by clicking this link.